반송(盤松)은 소나무의 한 종류로 줄기가 밑둥에서부터 여러 갈래로 갈라져서 줄기와 가지의 구별이 없고 전체적으로 우산과 같은 모습을 하고 있다. 이 반송은 나이가 약 400년으로 추정되며, 높이는 13.1m이고 밑줄기 둘레는 4.05m이다. 줄기가 아래에서부터 여러 갈래로 갈라져 전체적으로는 부챗살처럼 퍼진 반송의 전형적인 모습을 하고 있다. 안강 노씨가 마을에 처음 들어올 때부터 자라던 나무라고 전해진다. 이 반송은 우리나라에서 가장 크고 오래된 반송 중의 하나이므로 생물학적 자료로서의 가치가 높아 천연기념물로 지정하여 보호하고 있다. 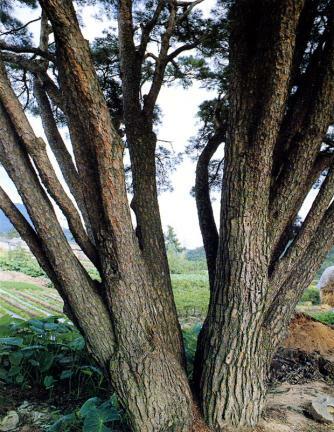 The Multi-stem Pine of Dokdong-ri, Gumi is a kind of pine tree but a little different from other kinds of pine trees in shape. 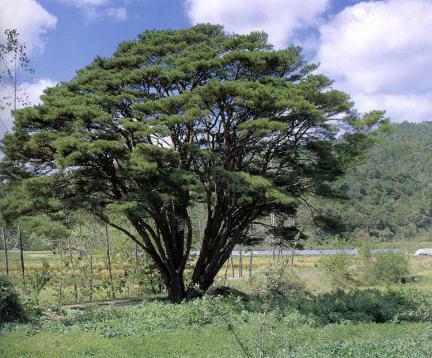 With the tree branching into many pieces at the base, the main branch is indistinguishable from the branches. Its overall appearance also resembles an unfolded umbrella. 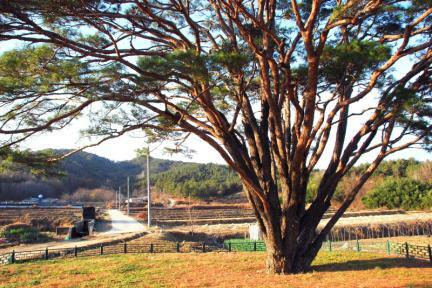 The tree is about 400 years old, with height of 13.1m and girth of 4.05m. 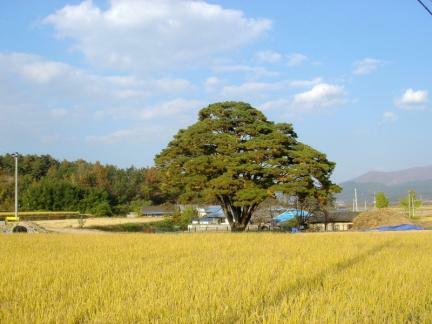 Legend has it that this tree has grown in this town since Angang No Clan moved in this town. 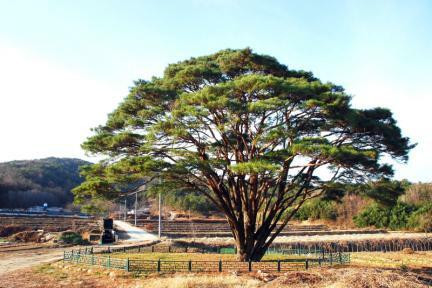 Since the multi-stem pine of Dokdong-ri is biologically valuable and has been preserved well by our ancestors' care and concern for a long time, it is designated and conserved as a Natural Monument.